History has been made. Many students may not know about the big news coming from our very own boys soccer team. This year, boys’ soccer has had many ups and downs, but they came out on top after all the hard work. 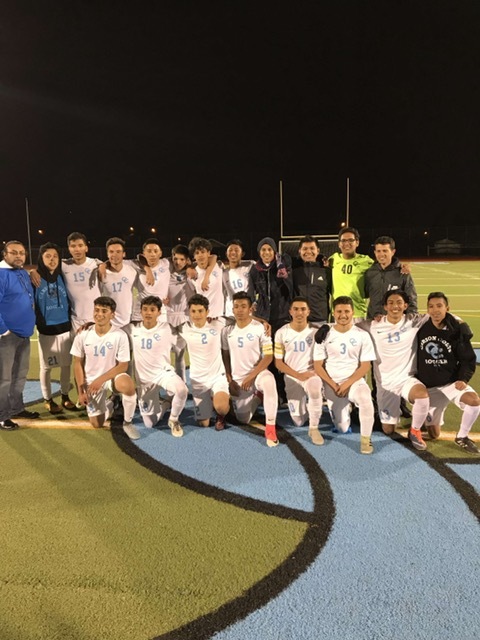 This year has been the first year in history that Carson boys’ soccer team has made it to playoffs. Given this opportunity, the team took total advantage and went all the way to the championship. The game was packed with tension with it being the teams first experience in a championship game. Carson and Torres were tied at one goal sending them the game into overtime. Unfortunately the colts couldn’t hold on long enough, losing by one goal. Although Carson’s boys soccer team lost, they still won by being the first to make history.